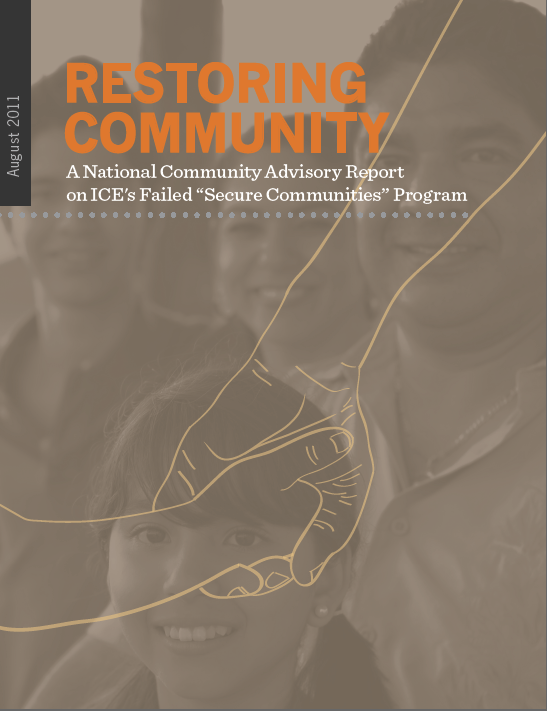 NDLON and a National Community Advisory Commission published “RESTORING COMMUNITY: A National Community Advisory Report on ICE’s Failed “Secure Communities” Program,” an authoritative report on the failed Secure Communities program. Download available here or it can be read online below. This entry was posted in Documents and Reports, Featured, Media, Organizing Resources on August 16, 2011 by Ian.